Impact on the People we Support – | Service Coordination, Inc. 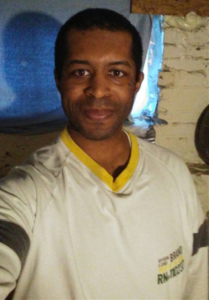 This year when a Black and Decker work site became NexDine, the contract with the DDA provider Kareem worked for ended. While Kareem was offered a position with the new company, he would not have any on site coaching from the provider. Kareem embarked on training and learned a totally new position with new duties in order to obtain and maintain the employment he desired. His team supported him to learn how to use public transportation in a new way. During the past year, he was named as Employee of the Month. He loves his job and his supervisor, and his co-workers love working with him. They value what he brings to their team. This is a success story not only for Kareem, but for his CCS Jessica Jordan and the team that made sure he had the support to be successful.